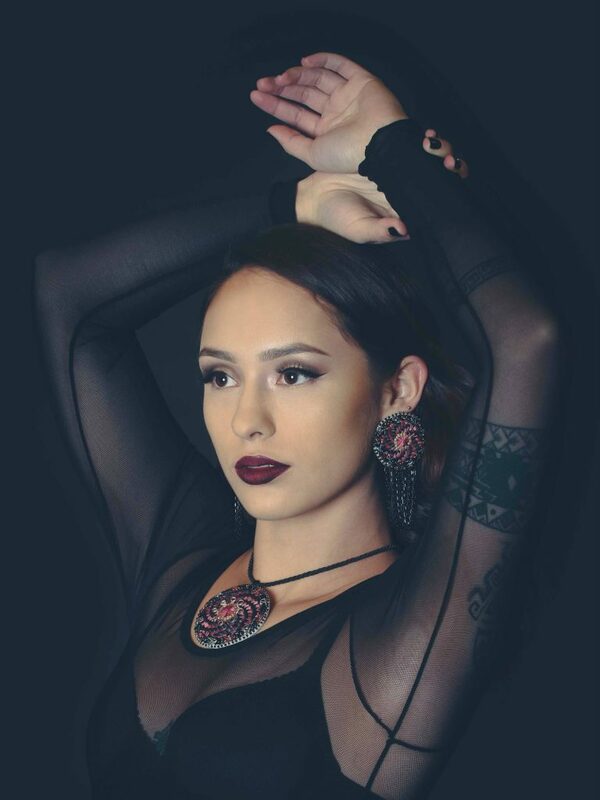 Two Mohawk women and artists took their passions and merged them into one, creating two beautiful sets of beaded and woven-basket jewelry pieces unlike anything seen before. Carrie Hill and Tobi Mitchell are two Mohawk women and artists who honed very different creative skills but met each other and bonded at a basket-weaving class. 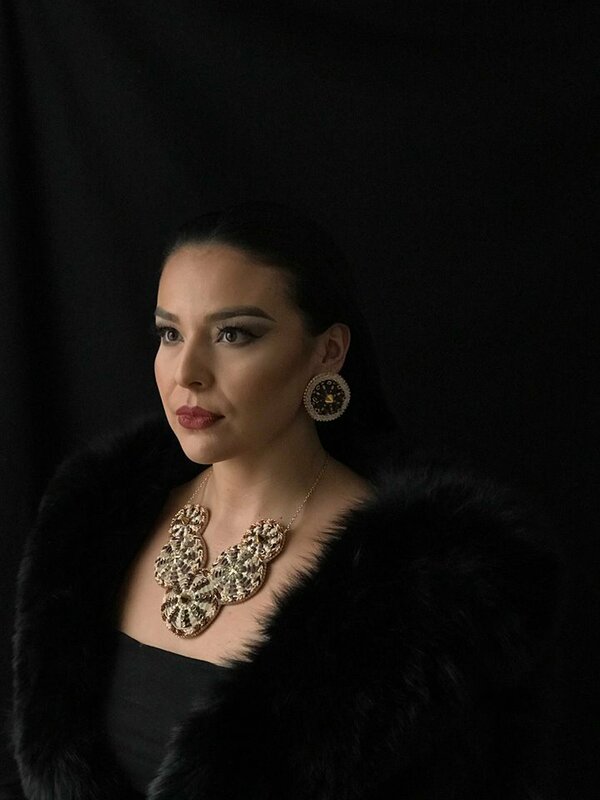 Their brainstorming and the collaborative partnership has not only fused together artistic mediums, but it keeps the legacy of their Mohawk culture and heritage alive through modern fashion. What tribes are you from? TM: Akwesasne Mohawk Territory, which is located along the Canada and USA border as well as the Quebec-Ontario provincial border. Where and when did you learn how to create your art mediums? CH: I was fortunate enough to be a stay-at-home mother for my youngest daughter but was craving something for me, something to make me feel like “Carrie” and not just mom or wife. I asked my Auntie Laura (my Auntie Little one) if she would teach me and I would go to her house after I put my kids to bed and she would show me different weaving techniques, like how to prepare the splint to make it weavable. In the summer she showed me how to collect sweetgrass; it was something that I had taken an immediate liking to and impressed my auntie with my tight weaves. TM: When I was younger I used to be a part of the Akwesasne Singers & Dancers, and we would travel and showcase our social songs and dances. As part of this, we also got together once a week to make crafts, and from there it grew as I got older. I took a break from beading around the time I went to University, and with a nudge from my sister I picked it back up about seven or eight years ago. Who decided to collaborate on a piece? CH: Tobi had taken a few basket classes with me and was a lot of fun to have in the classes. She liked to pick more difficult designs or shapes to weave. She was always up for a challenge and never gave up. Tobi also had a lot of creativity with her beadwork. I really liked how she took pride in her craft and how she was fun to be around. 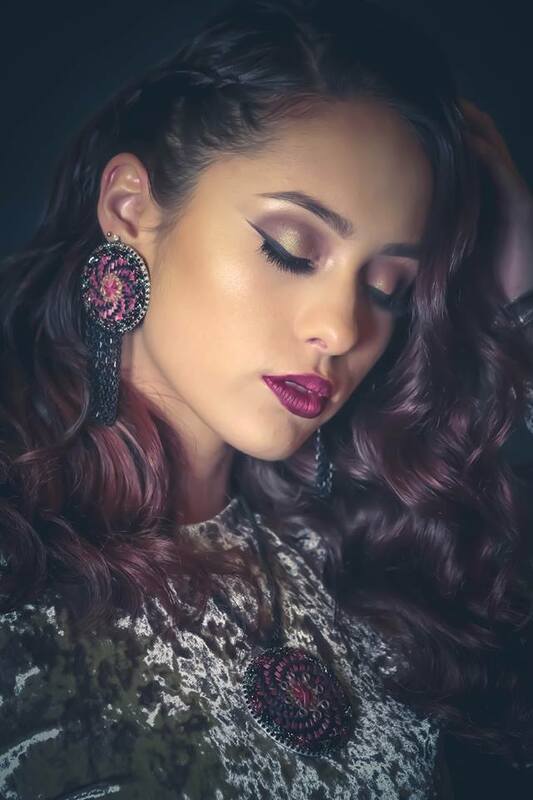 I had been approached before about possibly adding beadwork to my splint earrings and medallions before, but had not quite found someone I wanted to collaborate with, then there was Tobi [laughs]. TM: I used to make baskets when I was younger, and I started taking different classes with Carrie. We got along pretty well, and whenever I had an idea, that usually meant more work for both of us, but she was supportive. I had pondered a few times about adding beads to my baskets in class, but after a quick chat during a class we figured that the structural damage to the basket would be too great. Little did I know, Carrie had another idea up her sleeve. She contacted me about working together, and during our quick discussion about it, I had so many different ideas in my head. CH: It started over an excited message, then I asked for her number so i could talk with her about the idea. I called her and it was a really great conversation. I think we were both really excited to start working on the pieces together. TM: To make the initial pieces, Carrie made a few different sized-medallion pieces, which were based off her earring design. I took them and experimented with a few different techniques until I found one that worked with the uniqueness of the pieces. I used our traditional Haudenosaunee-raised beadwork to add some color and design to the pieces. Normally Carrie uses sweetgrass along the outside of her earrings and since that was missing, I used the beadwork to try and look like a braid. Are you guys planning on collaborating on more pieces in the future? CH: I believe we are. I really dig her style. TM: Yes we are, we have received some requests for orders, and we’ve discussed the possibility of doing more sets and experimenting some more with these. I still have a few ideas for some more pieces for necklaces, hair pieces and a few other possibilities we’ve talked about. Where can someone purchase these pieces? Chill Baskets on Facebook and Instagram; Chillbaskets1@gmail.com for email or Midnite Creations on Facebook.